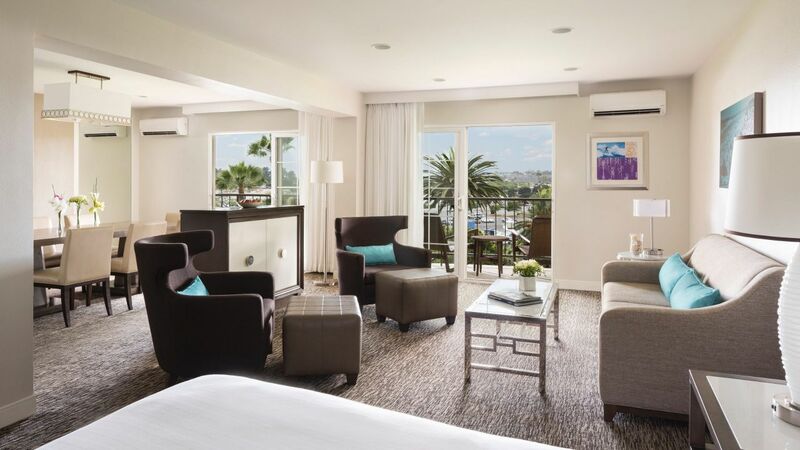 Relax, entertain and stay connected at Hyatt Regency Newport Beach. Our resort-inspired hotel offers 410 beautifully designed guestrooms and suites, including four three-bedroom Villas designed to incorporate work conveniences with thoughtful lifestyle amenities. 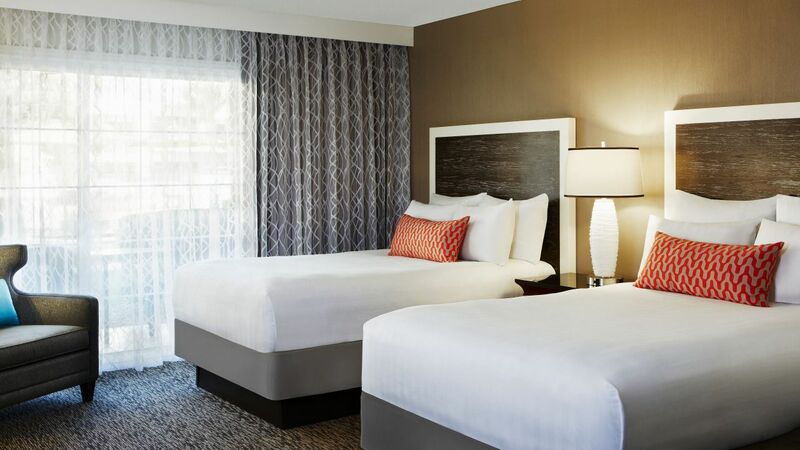 All of our Newport Beach accommodations feature plush Hyatt Grand Beds™, 49” HDTVs, and iHome stereo with iPod® docking. Stay productive at our oversized work desk with complimentary Wi-Fi and the Hyatt Plug Panel®. Enjoy your own private pool in our 3 Bedroom Villa Suite. Each bedroom upstairs has one king bed & private bathroom while the main suite downstairs has a full refrigerator, comfortable living room and table for 4. Upstairs rooms are stair access only. This is a premium suite. See World of Hyatt program terms for upgrade eligibility. A 1080 sq ft residential experience with full show kitchen and breakfast bar, dining table for 8, living room and king bedroom. Enjoy the long balcony with views of our golf course. Connecting rooms are available if you contact the hotel directly. Feel at home in this 650 sq ft suite in Newport Beach, CA with one king Hyatt Grand Bed®, modern beach house décor, sleeper sofa and spacious work area. This is a standard suite. See World of Hyatt program terms for upgrade eligibility. Spread out in this 650 sq ft suite in Newport Beach, CA with on king sized Hyatt Grand Bed®, modern beach house decor, a balcony, dining table and refrigerator. This is a standard suite. See World of Hyatt program terms for upgrade eligibility. 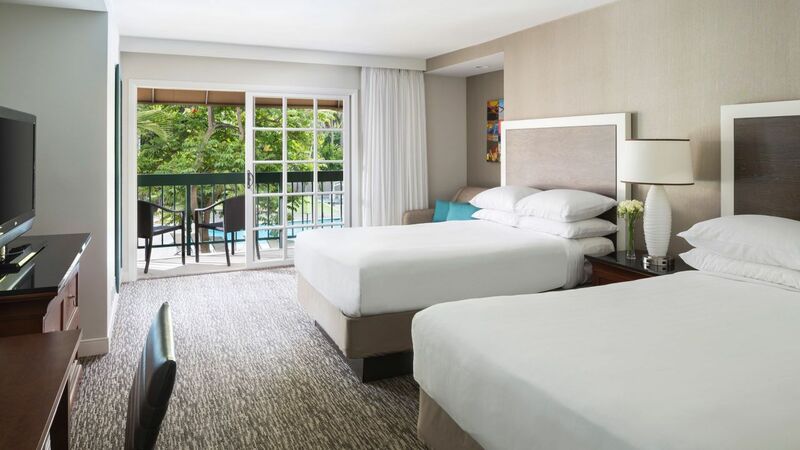 Unwind in a 385 sq ft balcony view king room in Newport Beach, CA with one Hyatt Grand Bed, a mini-fridge, private balcony and views of our beautiful resort. 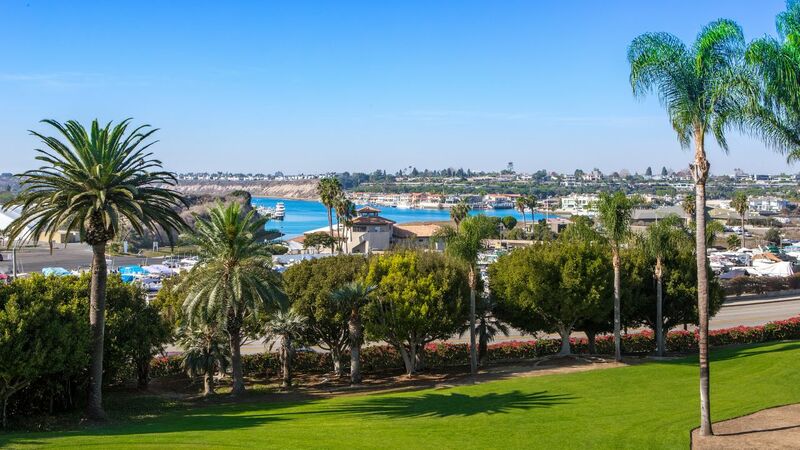 Unwind in a 385 sq ft balcony view double room in Newport Beach, CA with two Hyatt Grand Beds, a mini-fridge, private balcony and views of our beautiful resort. Feel at home in this 385 sq ft Bay View king room in Newport Beach, CA with a Hyatt Grand Bed®, private balcony, and a mini-fridge. Relax in this 385 sq ft Bay View double room in Newport Beach, CA with two Hyatt Grand Beds®, private balcony, and a mini-fridge. 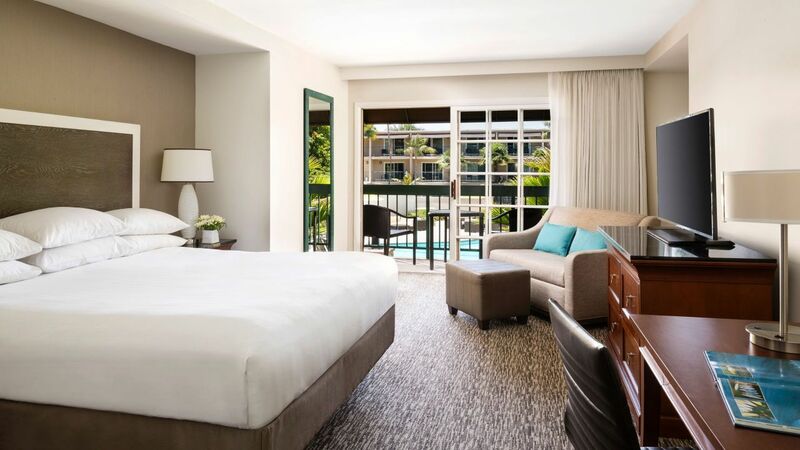 Relax in this 385 sq ft pool view king room in Newport Beach with one Hyatt Grand Bed®, a mini-fridge, and beautiful views of our Indulge Pool. 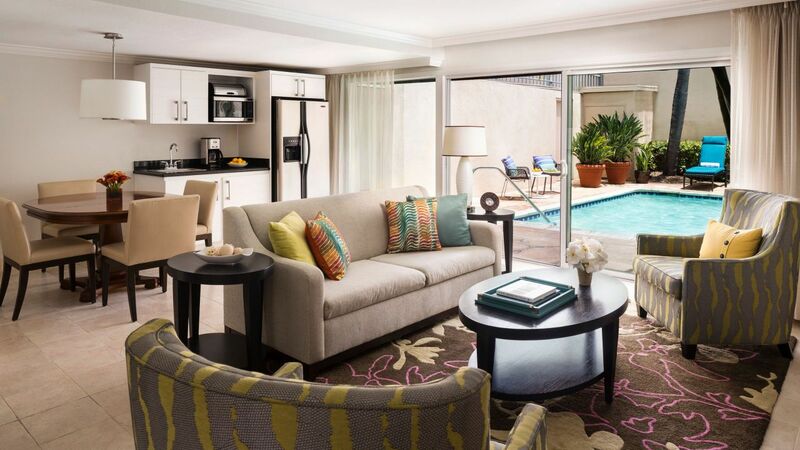 Unwind in this 385 sq ft pool view double room in Newport Beach with two Hyatt Grand Beds®, a mini-fridge, and beautiful views of our Indulge Pool. 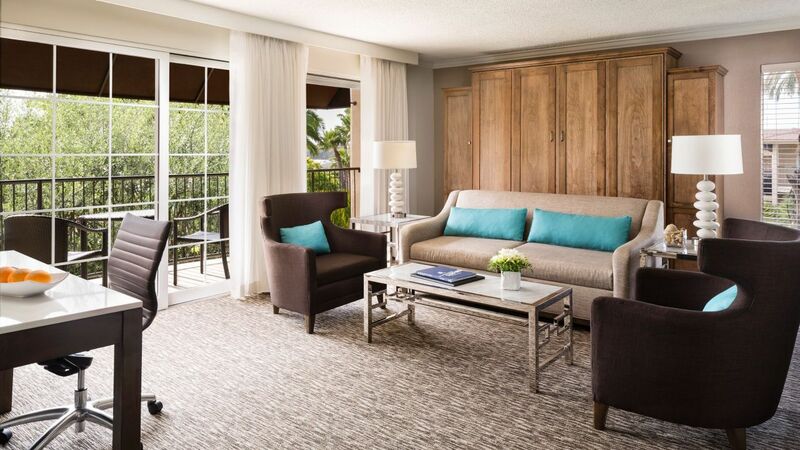 Enjoy these spacious 385 square foot king room in Newport Beach, CA with one Hyatt Grand Bed®, and a mini-fridge. 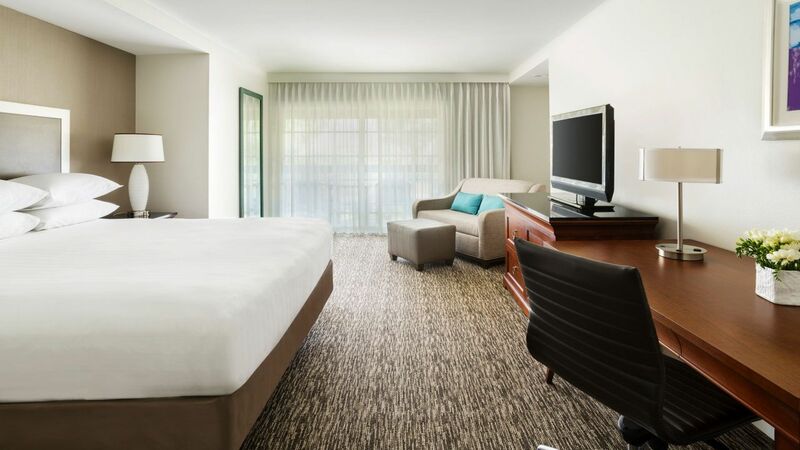 Relax in this spacious 385 square foot double room in Newport Beach, CA with two Hyatt Grand Beds®, and a mini-fridge. Relax in this 385 sq ft ADA compliant king room in Newport Beach with one Hyatt Grand Bed®, mini-fridge, and a bathtub with grab bars. Unwind in this 385 sq ft ADA compliant double room in Newport Beach with two Hyatt Grand Beds®, mini-fridge, and a bathtub with grab bars. Rest peacefully in this 385 sq ft ADA compliant king room in Newport Beach with one Hyatt Grand Bed®, a mini-fridge, and a roll-in shower.